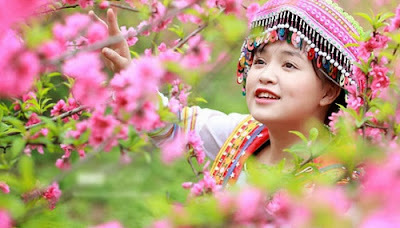 Spring would mean little to people in northern Vietnam if there is no peach flower, a native variety. 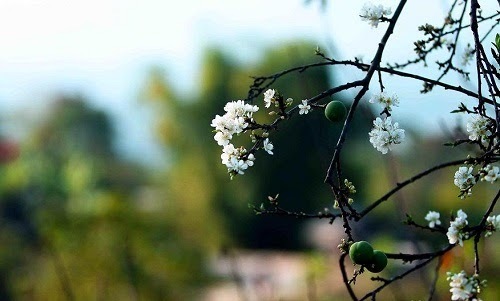 It blossoms at the time of Tet (Vietnam`s traditional lunar new year festival). As is the custom, every Vietnamese family, rich or poor, has to get a branch of peach blossoms in the house. 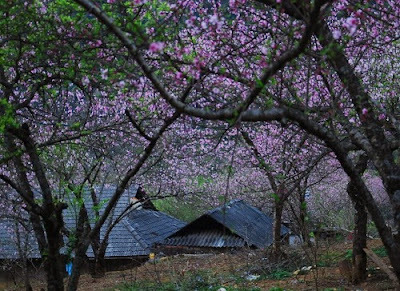 From time immemorial, the flower growing village of Nhat Tan in Hanoi has been known for its many kinds of peach flowers: dark purple, pink, bonsai peach, etc. In the northern mountainous regions, the peach trees grow naturally into forests, giving the Spring a beautiful scape. 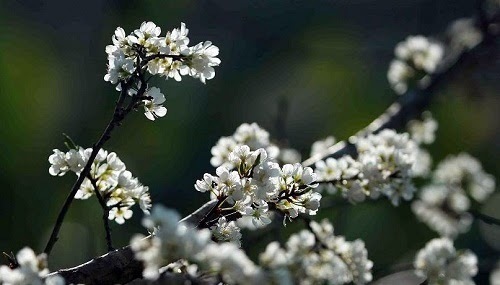 After defeating the feudal Chinese invadors of the Ming empire in the well known battle of Dong Da in the Spring of Ky Dau (1789), Quang Trung sent an emissary to Phu Xuan, southern Vietnam, carrying a blossom of peach flowers as gift to his wife, Princess Ngoc Han. Northern people say that peach flowers blossom in spring – during Tet holidays while most other flowers still stay silent, symbolizing the strong vitality and a brave heart. Moreover, the pink colour of peach flowers shows the love and joy spread among people in this unique time of the year. Peach flower has 2 kinds: light peach with light pink colour and Nhat Tan – Ha Noi’s specialty peach with dark pink colour (nearly red). 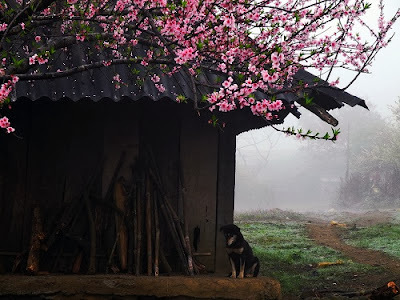 Visiting the northern mountain places of Vietnam such as Moc Chau, Sapa, Ha Giang, in the early days of the lunar New Year, tourists enjoy a dream-like landscape of immense forests of plum trees in blossom. During this time, the area seems to be covered by a beautiful white shawl and shows a new vitality. Here, tourists also see children joyfully playing together under the canopy of plum trees while their parents diligently working on the terraced fields. 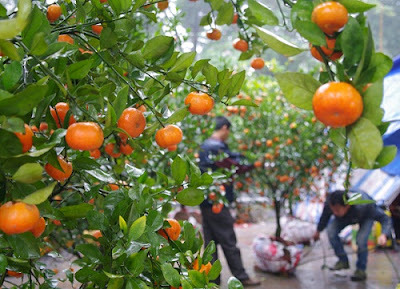 Marumi kumquat bears different story. A tree with all 5 characteristics: full of fruits, flowers, leaves, branches and roots is a symbol for wealth and happiness for the new year. 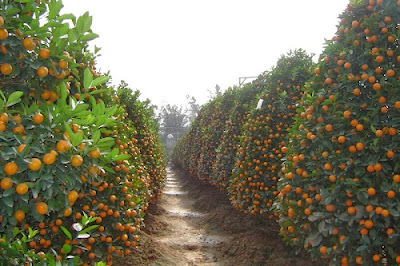 The tips for choosing a good plant are generated accordingly: the tree must have both ripe and green fruits, mature leaves and new bud - which represents wealth and luck brought to the family in the new year.